We recognize it’s impossible to take in all of the GDC talks you want to see when you’re at the event. We’re here to help! We’ve just made all of NVIDIA’s GDC 2019 slides available to download in one handy place. It’s a one-stop-shop for learning more about real-time ray tracing, machine learning, mesh shading, Vulkan, PhysX, and more. 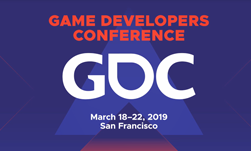 Don’t miss out on developer presentations from Nixxes (Shadow of the Tomb Raider), 4A (Metro: Exodus), and DICE (Battlefield V). Learn how Quake II got up and running with full path-tracing! Please note that in order to access these slides, you must be a member of NVIDIA Developer Program. Becoming a member is free, and signing up only takes a minute. The full GDC videos of these talks will be available soon; we will announce their availability on this channel. You can find all of the slides on the NVIDIA GDC19 Show Guide Page.